Well, as promised, Peter Bergen joins us now from Washington. He’s a professor at Johns Hopkins University in Washington and author of the book “Holy War Inc., Inside the Secret World of Osama bin Laden.” Well, when you listen to that latest tape, what does it tell you? You’ve heard many of these in the past; what does this one tell you? Well, I think most importantly, it’s a very recent proof of life of Osama bin Laden. That tape must have been made either in early December or mid-December, so within the last three to four weeks. It’s an unusually quick turnaround for one of these bin Laden tapes, and he actually begins the tape by saying “this is Osama bin Laden,” which I’ve never heard him say before. So a rather self-conscious effort to show that (a) he’s alive and (b) he’s influencing the debate; he’s trying to provoke attacks against Middle Eastern governments that are cooperating with the war on terrorism and also calling for attacks against coalition forces in Iraq. As you say quick turnaround as opposed to some of the others. The one in October, it could have been months in the making. Why do you think he was in a rush here? Was it the beginning of the New Year, or what? Could have been that. I think, no, it was just happenstance or luck. The chain of custody of these tapes is the one weak link that brings you back to Osama bin Laden and Ayman al-Zawahiri, his number two. So clearly there are a lot of cut-outs between al Jazeera and bin Laden and getting them from one cut-out to the next and, of course, you’re talking about very difficult terrain where they’re likely in the Afghanistan-Pakistan border region, so the process itself may be quite lengthy to get it out. Why it came out quicker this time, who knows? You mentioned something that always made me wonder, the route that it gets from bin Laden to al Jazeera, what’s your best guess on how that works and why it can’t be traced back? Clearly that’s a vulnerability and a vulnerability that people haven’t been able to penetrate, obviously. One thing is that bin Laden and Ayman al-Zawahiri release tapes sort of infrequently and don’t necessarily give them to the same al Jazeera bureau. Sometimes they don’t even give them to al Jazeera. They give them to other Arab networks. So, you know, obviously the chain of custody is a real vulnerability, but it’s quite hard to monitor all the possible points that these tapes might be coming, and also they come, there’s no pattern. Sometimes there’s one every month, suddenly there will be a space of three months. So clearly there must be people looking at it. It just makes sense, but obviously without much effect so far. Now, we know that the Americans have been successful in catching some high-level al-Qaeda members over the past year or two years, but they haven’t got anywhere near bin Laden or al-Zawahiri as you mentioned is his number two. Why do you think that is? anhunt inside the United States. He evaded the FBI for five years, finally caught, basically, because of dumb luck. Times that story by about a hundred and you get an idea of the problems of finding bin Laden who has, you know, a support system. He knows the Afghan-Pakistan border terribly well, he’s been visiting there since his early 20s. You’ve got a very tough problem. My impression from talking to people inside the U.S. government and from visiting Afghanistan and Pakistan last summer looking into this very question, you know, they basically don’t have anything. They’re back to square one. They’re stalled, they’re stymied, it is not going particularly well. By the law of averages, he will be found eventually. But will it be tomorrow or ten years from now, who knows? Dumb luck is what they may need. Dumb luck, sometimes that works. 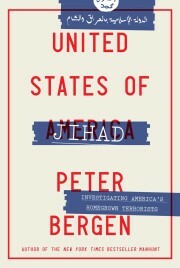 Al-Qaeda itself, how has it changed since 9/11? Obviously with him on the run, close circle of advisors, very close obviously at this point, how has the organization, which is much bigger than that, changed? a fairly astonishing thing. Obviously the Iraq war turned a the lot of people against the United States in those countries and particularly against president Bush, but the fact is that al-Qaeda, bin ladenism is now an ideological movement. The word has gone forth. Bin Laden’s statements are aired on al Jazeera, CNN, CBC, or whatever. They get a lot of coverage, and in a way, bin Laden is no longer really running a terrorist organization. He is the sort of, if you will, ideological godfather of a movement in the Muslim world, which is not a mass movement necessarily in the same way that communism was in the 20th century, but has nonetheless got quite a lot of adherence around the world. Even in the West, in places like Canada, as we know, there have been Canadians actively involved in al-Qaeda, and obviously in the United States. So in lots of countries around the world, this is an ideology that has gained a number of foot soldiers. Let me leave it with one quick question to you: what do you see as the next part of the bin Laden story? That’s an interesting question. It could go so many different ways. I think the worst thing we could do is kill him and martyr him. I think the smart thing would be to capture him and do the same thing we did with Saddam. Those pictures of Saddam being captured did a lot to deflate his mystique and I think the same would be true with bin Laden. Put bin Laden on trial for his crimes in perhaps an international forum, after all, bin Laden has killed a lot of Muslims as well as Westerners, and I think that would be the most effective way to deal with him. If you kill him, you turn him in to a big martyr. I don’t think that’s necessarily a good idea. Peter Bergen, we appreciate your time as we always do. Thanks very much.